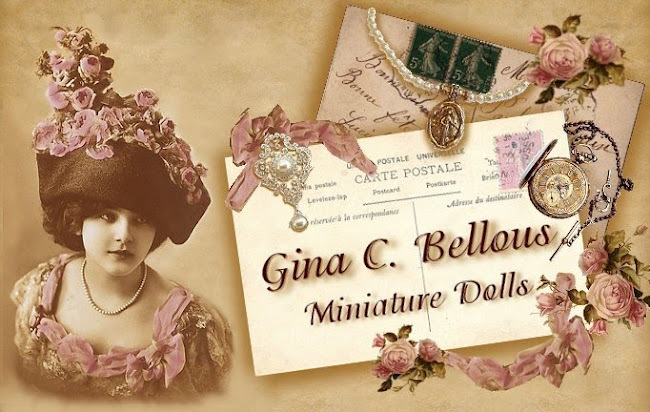 Gina C. Bellous Miniature Dolls: ♥ Portrait Sisters ♥ - Cutting Out The Dress! 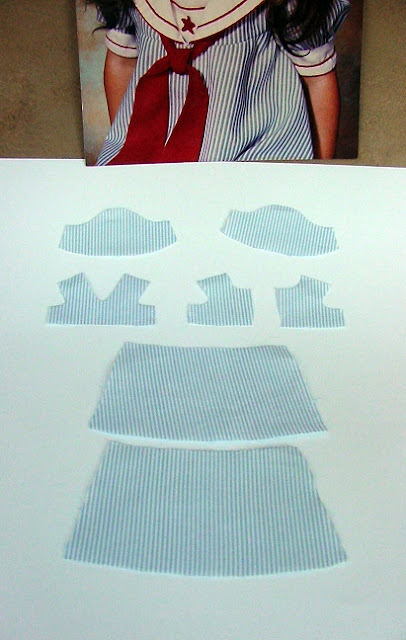 Now it is time to use the patterns and cut them from fabric. Aileen's "STOP Fray" or "Tacky Glue"
The Fabric Parts above have each been carefully sealed with Aileen's "Stop Fray"
Use a hard lead pencil to carefully trace around the pattern onto the wrong side of the fabric. You can double or quadruple the layers of fabric if you need to cut out more than one piece of the same pattern. This way you are only cutting it out one time. Use VERY sharp scissors to carefully cut just inside the line of fabric. This is done to keep any pencil lines off of the cut out pieces. 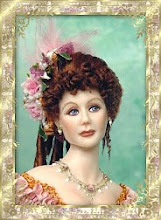 Use Aileen's "STOP Fray" or Tacky Glue to seal the edges of each piece. I use a needle tool dipped in the product and go around each edge very carefully. Lay the sealed pieces on wax paper to dry. Don't skip this step. It is super important if you want to have a very neat & clean finished costume.